RemoveVirus.org is a community of virus and spyware removal experts getting together to write the most accurate and up to date removal instructions for the latest Virus, Spyware, Malware, Trojans and Rootkit threats on the internet. All content, images and videos on RemoveVirus.org can be re-published, edited or shared on other websites and news print as long as credit is given to RemoveVirus.org. This site includes hundreds of expert written guides to help you learn more about viruses and spyware and how to remove whatever threat you may have. Just do a search for the threat that you want to learn more about and you should be good to go. If you require virus removal help just post a comment in the correct guide for the virus that you are infected with. Be sure to read the guide and the already answered questions for your solution first. For a listing of our recommended Anti-Virus clients be sure to read our Anti-virus reviews section. We also list free anti-virus clients at the bottom of the anti-virus reviews section as well as other great free tools you can use to help fully remove your virus. My name is Jacob and I run the RemoveVirus.org website with several other pros. Our virus removal guides are the most in-depth guides around and provide real solutions. If you purchase an Antivirus Client we endorse on this site from one of the links we do make a commission. This helps us run and maintain the virus removal website. To date we have helped ten's of thousands if not hundreds of thousands of people remove their virus threats. In this section we cover many of the basic how to subject matters. Do you need Expert Help! PCNinja.com has experts standing by that can fully remove all viruses from your computer for a low price. This company is based in the U.S. and all repairs are down by certified computer repair experts. They have fixed thousands of computers over the years and RemoveVirus.org is proud to recommend this U.S. based company to service your computer. Visit their computer repair site. SpyHunter is very friendly, providing the users with a simple interface that will allow them to properly understand the options and functions available. 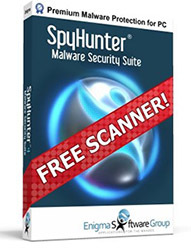 SpyHunter succeeds to both cleaning your already infected computer from viruses and to prevent virus infections in the future.